Each Tuesday and Thursday, we reach out to the Complex community and ask our followers to Twitpic the sneakers they&apos;re wearing that day. Some followers are so consistent in tweeting heat that we select them for our Twit-Kicks All-Star column, a post where they break down the top 10 sneakers in their closet. This week it&apos;s Fred Siliger&apos;s turn. Check out @BIGGFREDD&apos;s collection by clicking on the thumbnails and arrows above, and don&apos;t forget to keep photographing your weekly kicks and sending them in—you could be the next All-Star. 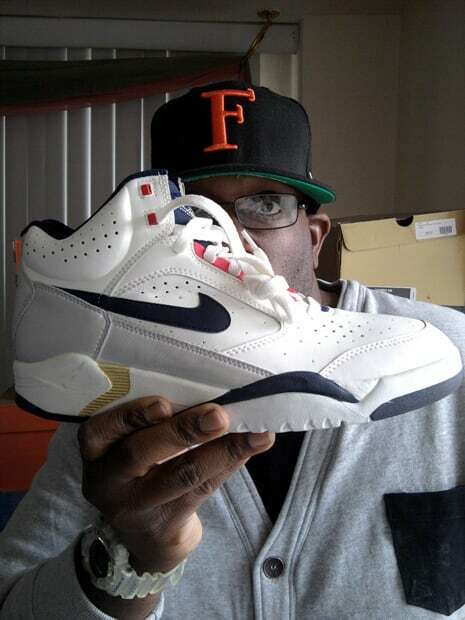 Prized sneaker in collection: Nike Air Flight Lite Mid "Olympic"